Dis MAI boks. Cali can get hur own! Fanks annipuss. Yup, purrfect fits sew Mia sitz. 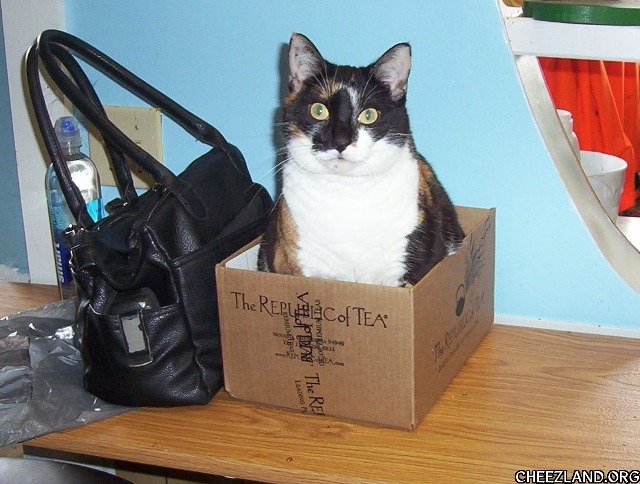 Tea kitteh iz a tea cozy. Yu drinks tea, they’ll cozy you. Ai fot it was a tea catty. In Cheezland, the time is 20:25.